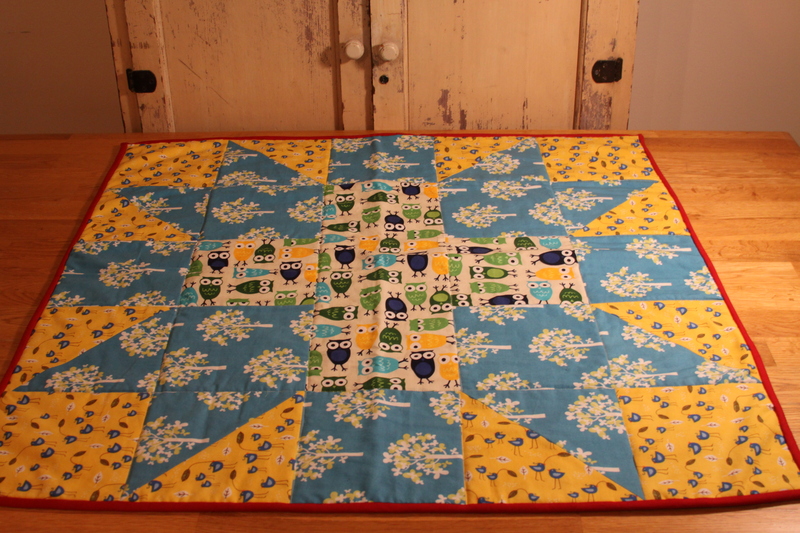 My first sewing project was a quilt–an ambitious project considering I didn’t even know how to thread my sewing machine. I had intended it to be a baby blanket, much smaller in size. Then I started thinking how a small blanket would be outgrown quickly, so I expanded the idea, ensuring my [forced] position in the baby’s life forever! 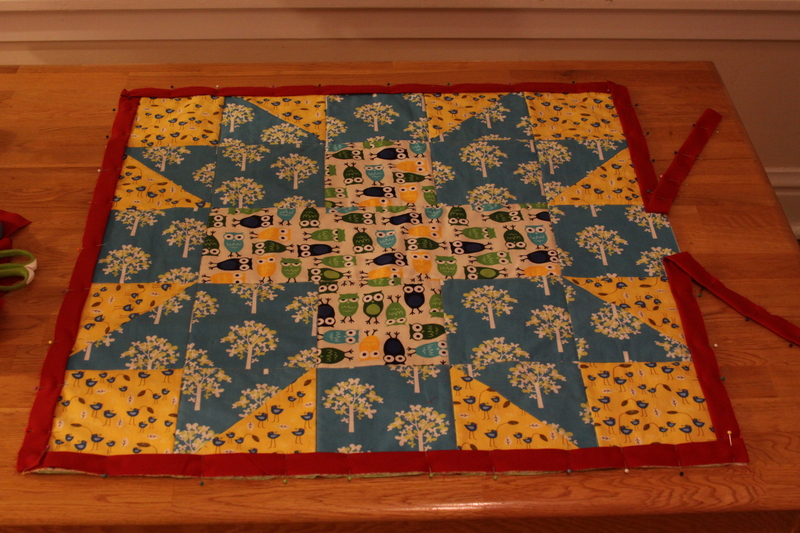 With plenty of leftover fabric scraps at the end of Project 1, I found that for my second project, I could revisit the idea of a baby quilt. I found a more advanced block (than squares, so it’s not saying much) to challenge myself, made it big, then googled binding. 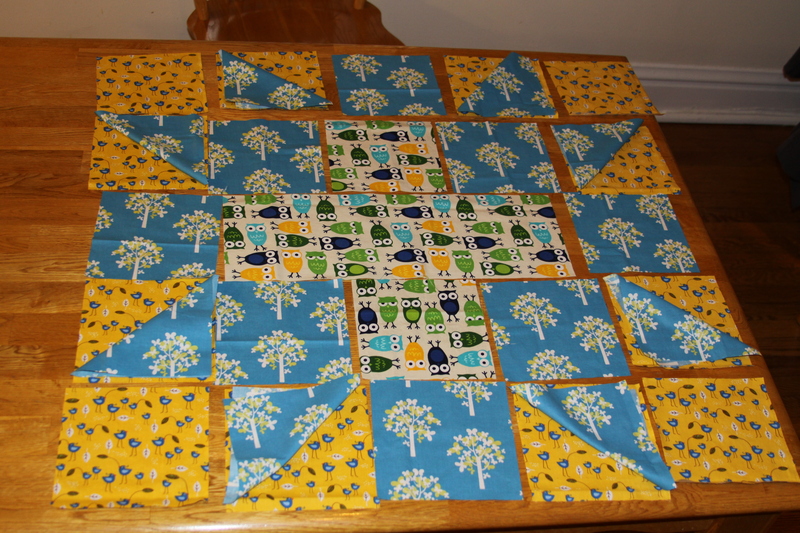 (For my original quilt, I hired help. 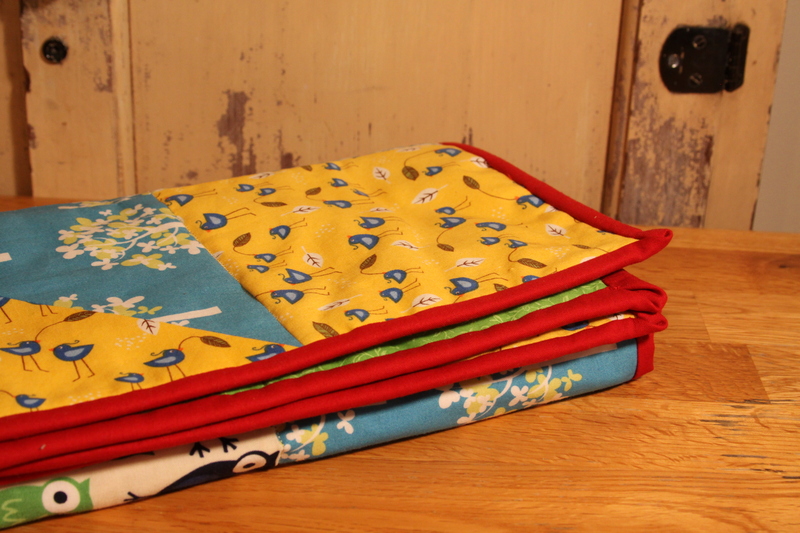 I don’t think my poor, tired sewing machine could have handled a big quilt.) Purl Bee had some great instructions! 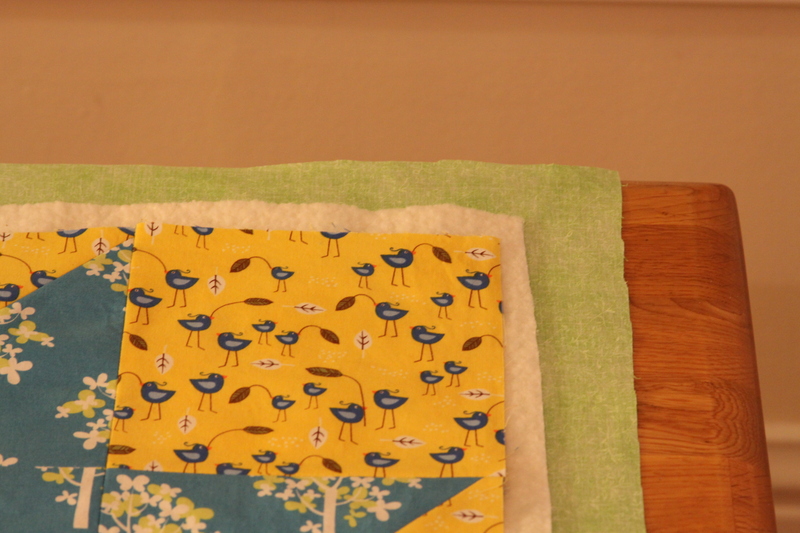 Categories: Quilts | Tags: baby blanket, baby quilt, binding, bird, birds, fabric, owl, owls, quilt, quilter, quilting, scraps, tutorial | Permalink.